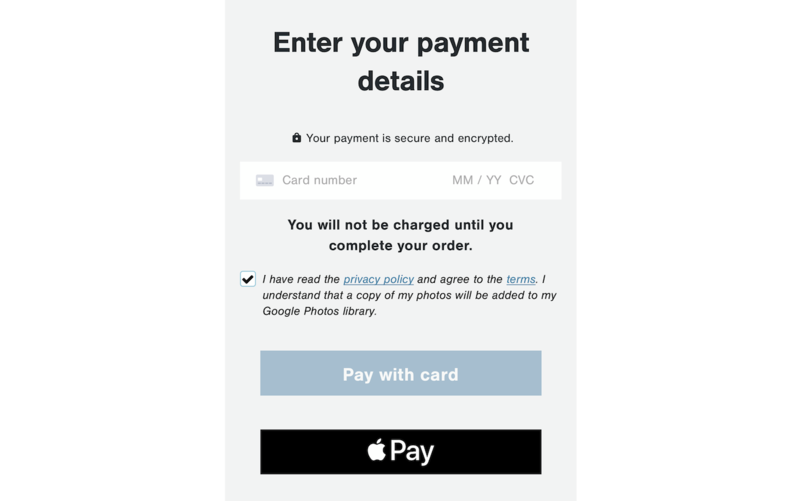 If you prefer the security and convenience of using Apple Pay, here are details on what's needed for you to use it to pay for your Gather order. An iPhone (not an iPad; Safari doesn't support them yet) with a card in its Wallet paired to the Mac with Handoff. Please refer to the Set up Handoff section on Apple's Support website. A card in your Wallet. You can verify by going to Settings > Wallet & Apple Pay. If the requirements above are met, you'll see a button to pay via Apple Pay.